Get your dose of Japanese Breakfast as she drops by Jakarta in May. Japanese Breakfast is a solo project by Michelle Zauner and has released two studio albums, Psychopomp in 2016 and Soft Sounds From Another Planet in 2017, the latter after she got signed to Dead Ocean Records. She is now on tour to support her latest record and will be performing in Jakarta before she makes her stop in the Philippines for Summer Noise 2019. Just last week, Zauner directed fellow labelmate Phoebe Bridgers' new collaborative project with indie veteran Connor Oberst, Better Oblivion Community Center's music video, 'Dylan Thomas'. 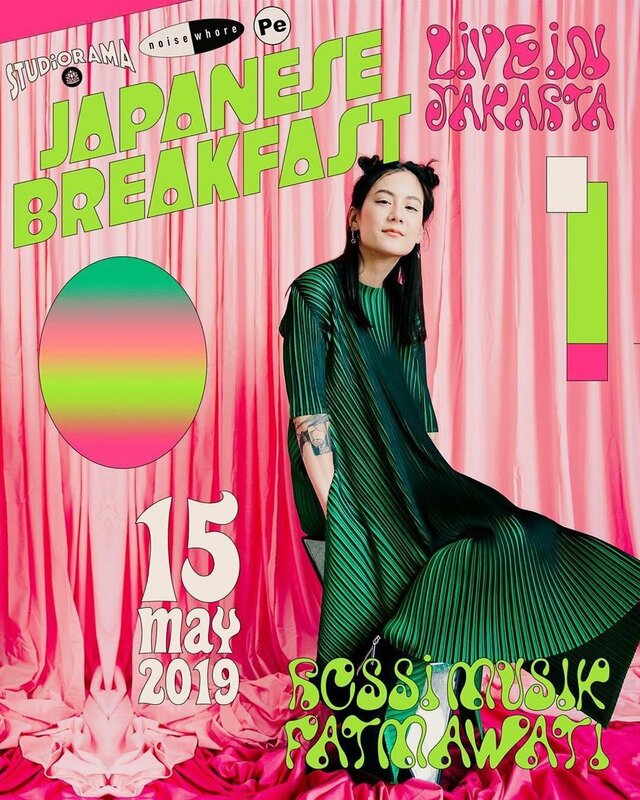 Studiorama, Noisewhore, and Pesona Experience present Japanese Breakfast will happen on Wednesday, 15 May, at Rossi Musik in Jakarta, Indonesia. Stay tuned for ticket details. In the meantime, stream Japanese Breakfast's latest album below.